This huge limestone palazzo apartment building was erected by Vincent Astor, who for many years occupied its top floor. 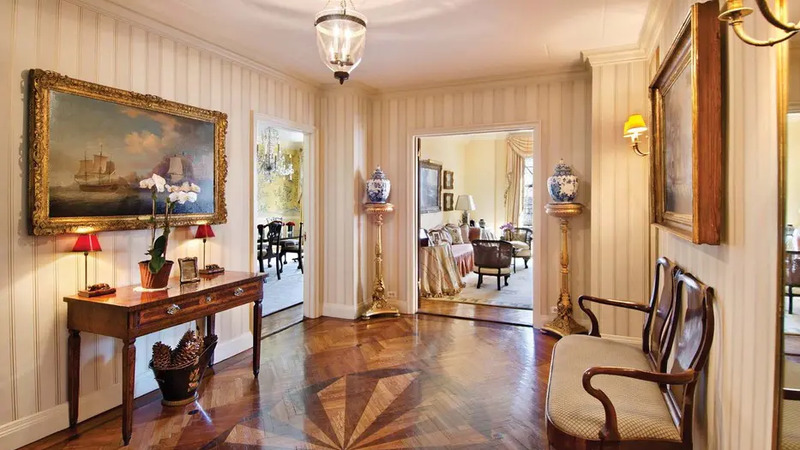 It was the third and most luxurious of three large apartment houses developed by Astor in the area. The others are 520 and 530 East 86th Street. 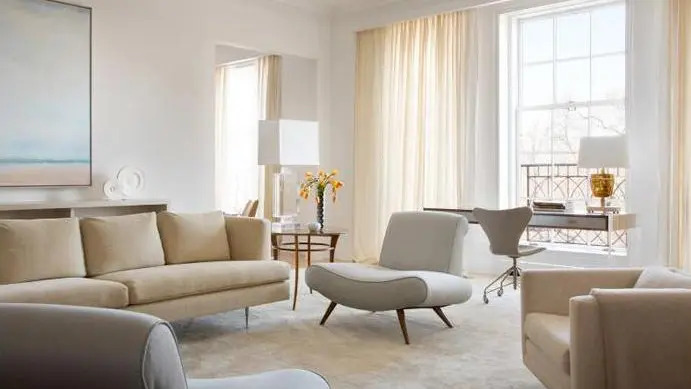 Designed by Charles A. Platt in an understated International Style and overlooking Carl Schurz Park, the 17-story building has large apartments, three to most floors, and five duplex apartments. Since its completion in 1931, it has been one of the premier residential buildings around Gracie Park. Platt also designed 530 East 86th Street, 15-story Georgian-style structure, for Astor. Platt's design was "a preeminent example of his restrained, even dry approach," according to Robert A. M. Stern, Gregory Gilmartin and Thomas Mellins in their book, "New York 1930, Architecture and Urbanism Between The Two World Wars," (Rizzoli, 1988). They noted that the building "troubled" famed architecture critic Lewis Mumford who found it "chaste," adding that "The taste is excellent; the architectural conception, deficient...The virtues of 120 East End Avenue are perhaps real, but they are negative; its vices are positive....it disregards the standards that are now accepted as minimal for the lower income groups....Obviously, the sound doctrine that every house must provide, part of its original cost and equipment, the open spaces needed for amenity and decency has a long way to go, particularly in upper-class housing....Mr. Vincent Astor's standards would not do for the Amalgamated Clothing workers. "In pre-air-conditioned days, of course, such concern for 'light and air' were not entirely with a rationale, but few today would worry about having a very large apartment with park and water views. 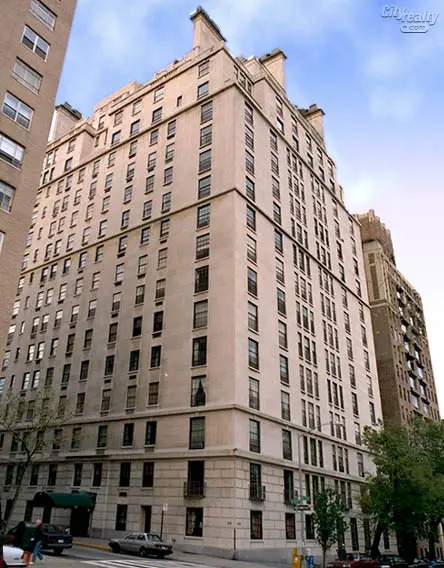 The entrance to 120 East End Avenue is on the sidestreet, but a large maisonette unit in the building has its own entrance on the avenue.The façade is without decoration but fine thin courses, or projecting horizontal elements, add strong accents. 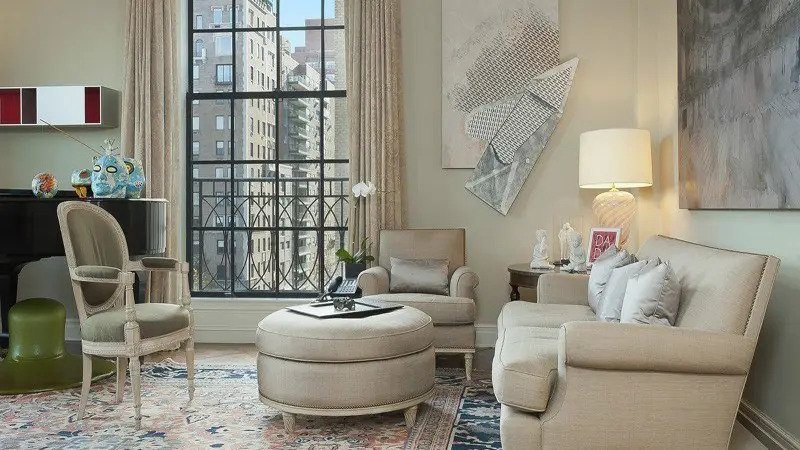 The façade is also delicately enlivened by balustrades at the 16th and 17th floors and by a fenestration pattern for the lower 13 floors that has broad windows at the 83rd Street corner and narrow windows in the central portions. The top four floors have a different pattern of mostly broad windows and the narrower avenue frontage is the more attractive because it is symmetrical and not as bland as the sidestreet frontage. The building also has small corner setbacks. This building has immensity and is an imposing, modern, white castle. 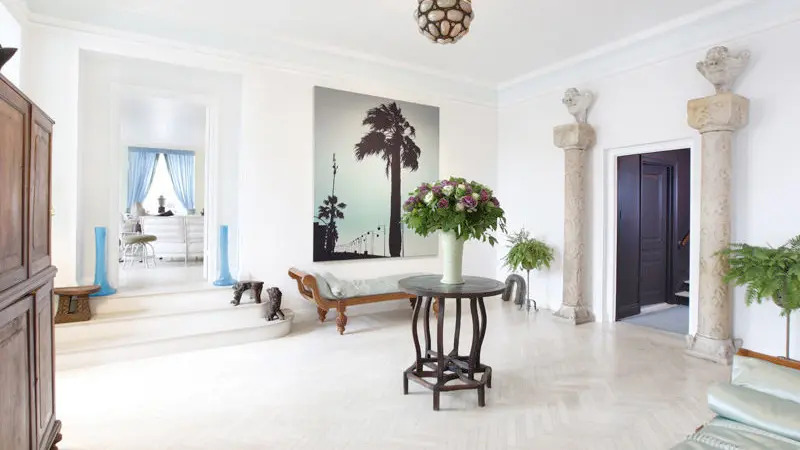 "This huge limestone palazzo apartment building was erected by Vincent Astor, who for many years occupied its top floor.